Sonia Sierra Sainz-Aja received her B.Sc. degree in Chemistry from UZ (University of Zaragoza – Spain) in 2017. In 2018, she obtained her M.Sc. in Molecular Chemistry and Homogeneous Catalysis from the same university under the supervision of Dr. Esteban P. Urriolabeitia. Currently, she is a Ph.D. student at UZ (University of Zaragoza – Spain), under the supervision of Dr. Esteban P. Urriolabeitia. 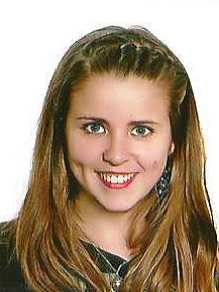 At TU/e she will work on the flow photochemistry project under the supervisión of associate Prof. Timothy Nöel.